The hybrid bike is a relatively new style and is typically suited to most leisure riders and daily commuters. A hybrid bike is one that blends the best characteristics of both road and mountain bikes into a bike that is sturdy, comfortable and fast, and gives the rider the best of both worlds. This makes it ideal for riders who commute to work during the week, and go for leisurely rides through the countryside on thier weekends.  There are a few variations of the Hybrid bike, each one designed to suit a particular function. It can get a little bewildering, so please read on for a brief description of each type of Hybrid Bike, along with an excellent example of the bike from our store. The city bike is designed specifically for commuting over short or long distances, and is optimized for the rough and tumble of urban commuting. Using a sturdy frame derived from the mountain bike, the city bike is more capable at handling urban	hazards such as deep potholes, drainage grates, and jumps off city curbs. City bikes are designed to have reasonably quick, yet solid and predictable handling. The image above is of a Claud Butler Legend, a great example of a Hybrid City Bike. Click here to view. The trekking bike is perfectly suited to those whose riding doesn't always consist entirely of tarmac, and it can handle the bumps of the countryside just aswell as the concrete of the city. Whether its road, dirt or both, these are bike's designed to be fun and reliable for your daily commute or your next workout. The image above is of a Scott Bike Sportster, a great example of a Hybrid Trekking Bike. Click here to view. The comfort bike is a bike designed, as its name suggests, with comfort in mind. They generally have a very upright riding position, fat but fairly slick tyres and a very comfy saddle. Comfort bikes are essentially modern versions of the old roadster bicycle, and typically have a modified mountain bike frame to provide the upright riding position. The image above is of a Pashley Guv'Nor Hybrid, a great example of a Hybrid Comfort Bike. Click here to view.